You are here: Home / Recipes / Baked Goods / Fried Pumpkin Donuts! We had a birthday in our family this week. We won’t be doing the cake until Friday, so I needed something that was mostly real food but felt like a treat for the birthday dinner. 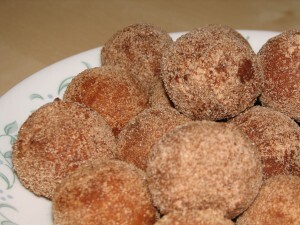 My dear friend, Sharon, just happened to send me her Gluten-Free Apple Cider Donuts Recipe about that time. I was SO thrilled! I made a couple of changes to fit what I had on hand and you can see the yummy results above. They got two thumbs up from everyone in the family! 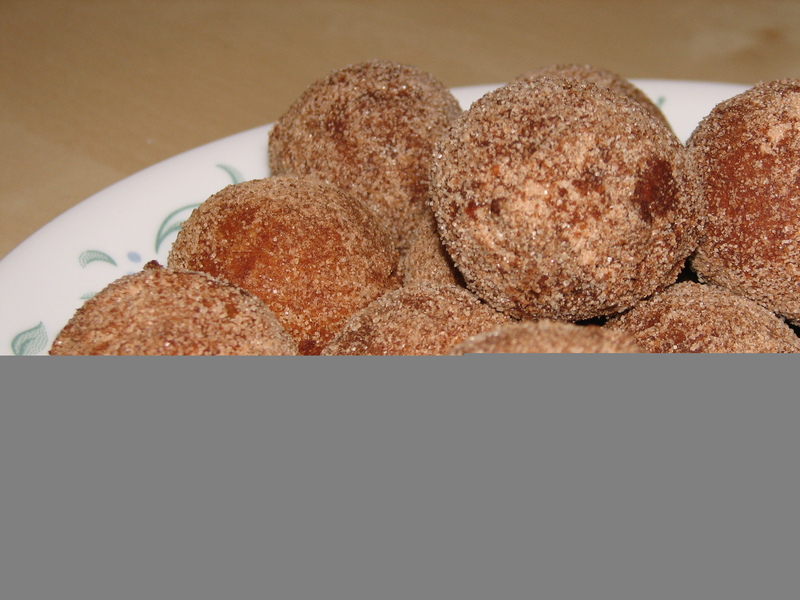 They are cake donuts with a solid exterior and a soft, tender interior. There were even good once they cooled. While they are fried, they still have a cake donut texture on the inside. I didn’t have any apples on hand, but I did have some pumpkin that I needed to use. So I substituted 1/2 cup pumpkin for the 1/2 cup of boiled-down cider and made pumpkin donuts. I rolled them out into walnut-sized balls since the pumpkin made for a stiffer batter than the cider. They were fried in a mix of tallow and lard as that is what I had on hand. View Sharon’s Recipe Here! Don’t forget to leave a comment to let her know you stopped by. Sounds super yummy. Can I make my own tapioca and rice flours in a coffee grinder? How fine/how long do they need to be ground? Thanks for sharing. Laura, tapioca is too hard to be able to grind with even a grain grinder. Rice is the hardest grain to grind, it’s hard to get them small enough. If you eat gluten, just substitute wheat flour. If you are gluten free, you can exchange any flour for the rice flour and any starch for the tapioca. Anything covered in cinnamon sugar is a must-try in my book 🙂 Looks delicious!